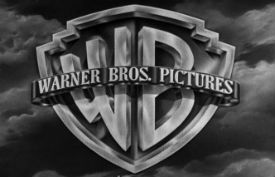 Warner Bros. is vigorously trying to prevent pirated content from showing up in search results, but in doing so the movie studio has shot itself in the foot. Recently, Warner asked Google to take down several of its own pages, claiming that they are copyright-infringing. The movie industry has gone head to head with Google in recent years, demanding tougher anti-piracy measures from the search engine. According to Warner Bros. and other major studios, Google makes it too easy for its users to find pirated content. Instead, they would prefer Google to remove sites such as The Pirate Bay from search results entirely. Warner itself is also taking action, by reporting pirated content to the search engine, asking it to be removed from the index. This year the movie studio intensified its efforts and thus far it has flagged over four million allegedly infringing URLs. We use the term allegedly with good reason, as not all of the reports are accurate. In fact, this week we stumbled upon recent takedown requests that have some glaring errors. With help from its anti-piracy partner Vobile, Warner asked Google to censor several of its own URLs from the search engine. The screenshot below, taken from the following DMCA notice, lists the official Warner page of the 2008 Batman movie The Dark Knight among various reported pirate links. The same notice also lists another Warnerbros.com URL for the sci-fi classic The Matrix. Again, Vobile asks Google to remove this link from search results, acting on behalf of the Hollywood studio. The apparent ‘self-censorship’ is not a one-off mistake either. A few days earlier, a similar DMCA takedown notice targeted Warner’s website, claiming that the official page for The Lucky One is infringing Warner’s copyrights. Of course, Warner only hurts itself with these erroneous takedown requests. Unfortunately, however, Warnerbros.com is not the only ‘legitimate’ domain that’s being targeted. The same notices highlighted above also target a link to the Amazon store, where users can rent or buy a copy of The Dark Knight. In addition, it targets a link to Batman Begins in the Sky Cinema store, as well as the film’s official IMDb page. In other words, Warner is inadvertently trying to make it harder for the public to find links to legitimate content, which runs counter to their intentions. Luckily for the Hollywood studio, Google is there to save the day. The search engine spotted their mistakes and decided to take no action for the Amazon, Sky and IMDb links. The Warnerbros.com URLs are still under investigation though, perhaps to make the studio sweat a little.